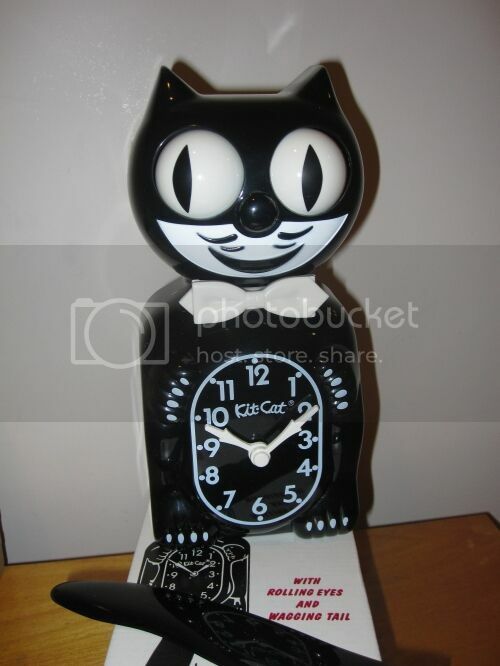 Since the mid 1930's (in the midst of the Great Depression), the Kit-Cat Clock has been inspiring hope and entertaining the world with his rolling eyes and wagging tail. 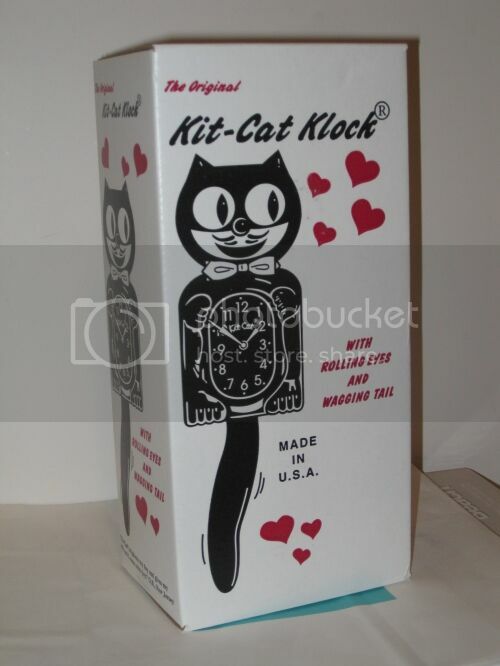 Go here to read more about the history of how the Kit-Cat Clock came about. 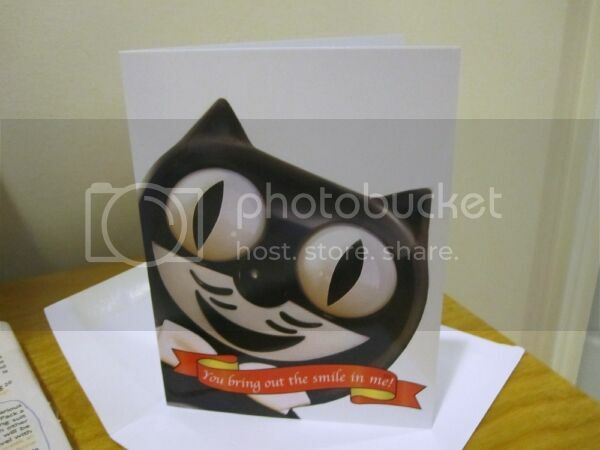 I was given the opportunity to share with you my review on the black classic Kit-Cat clock. 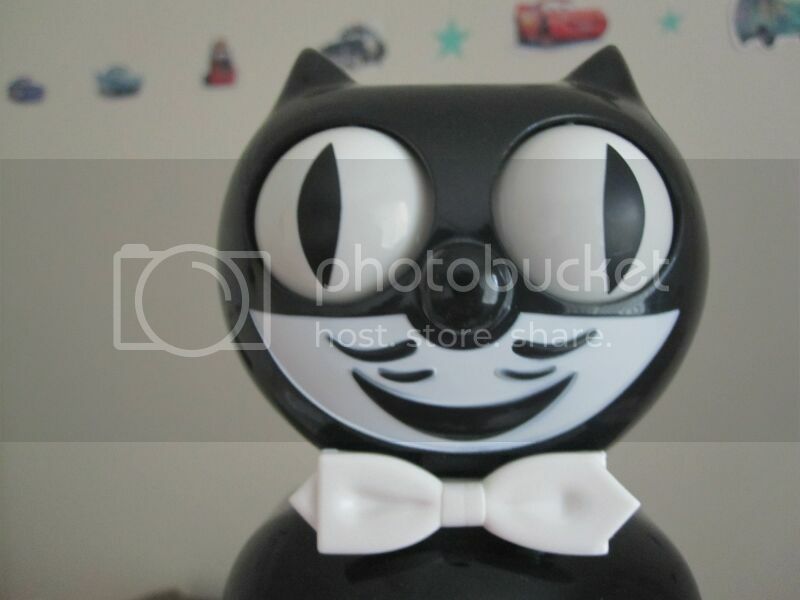 It reminds me of Felix the cat. We love cats. Even our cat, Momo, thought the clock was interesting and stared at the wagging tail on the wall. We hung it on the wall in little Brandon's playroom. It gives a fun feeling and makes the room more entertaining. I find it very adorable. This is quite a unique item and makes a great gift. When I opened the box, it didn't come with instructions, but installation and set-up was fairly simple. You need to push the bottom to "lift" out the back cover. Then Remove the sponge inside and the tape from the pendulum. The clock requires two C-type batteries. After installing the batteries, attach the tail and hang it on the wall. I just tap the tail lightly to the side to get it going. Brandon was quite amused with it. 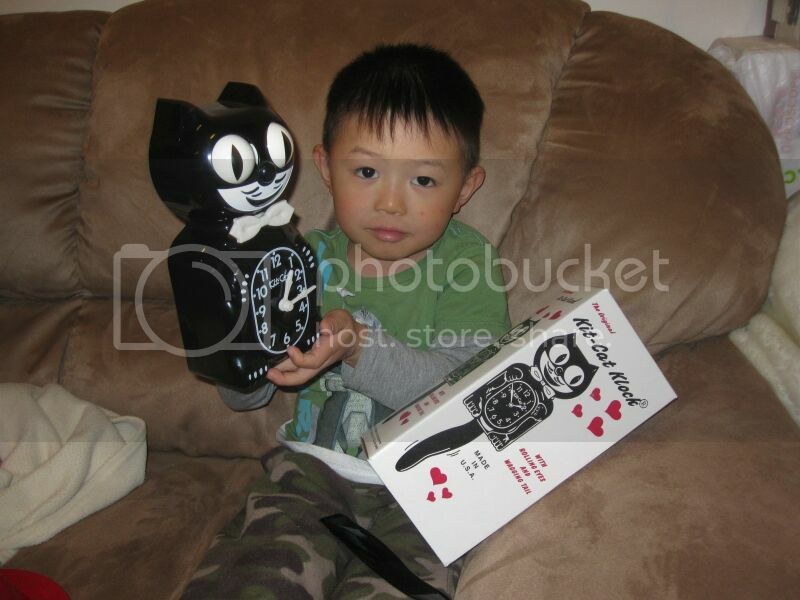 WHERE TO BUY: Kit-Cat Klock and other merchandise are available for purchase at www.kit-cat.com. 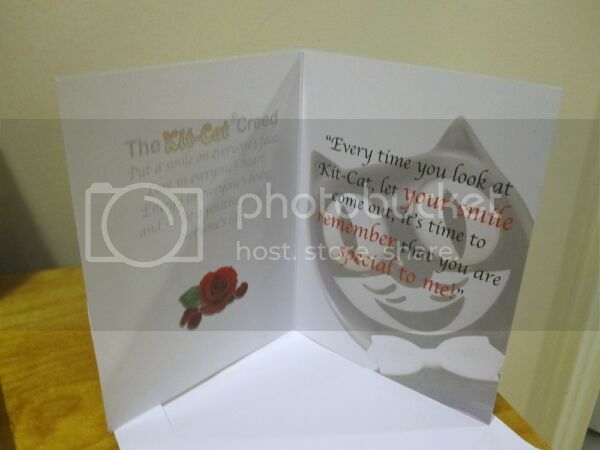 Mention my blog "Baby Brandon's Adventures" and you'll get a FREE greeting card ($2.99) with your order. Disclosure: I received the above mentioned product from the PR Firm/Company in exchange for my review. The opinions expressed in my review are my own personal and honest thoughts. No other compensation was given.